We’ve not had easy Internet access for the last couple of days, hence the lack of blog posts. Thursday was our last day in Paris and we wanted to make the most of it. We went out for a Thai lunch at a restaurant recommended by Christine. It was really good. 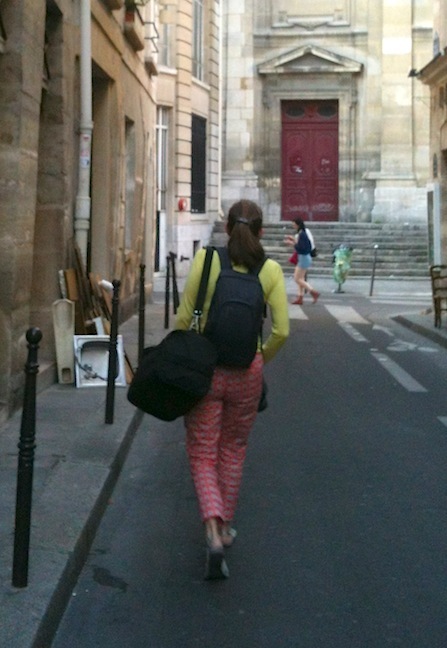 But it was far enough away from our apartment (one Métro transfer) and we had to check out by 2pm so time was tight. Hustling to the train station. We were able to stash our bags for a few hours, time enough to do some final sight-seeing. But then we had about 3 hours to kill with our bags before our train left. We managed to do that in a wonderful little bar. 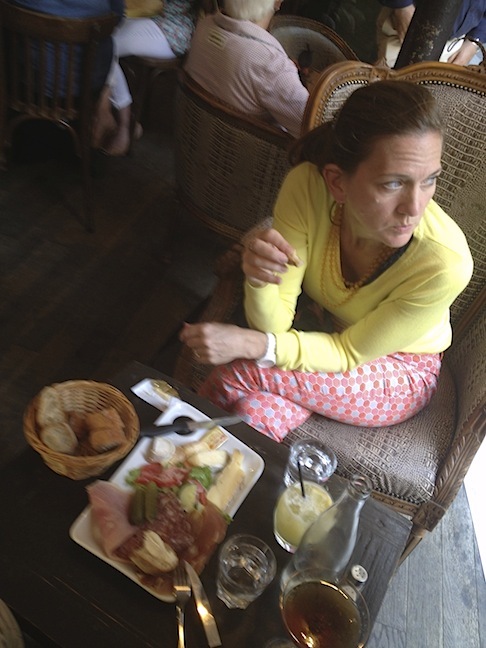 It’s really not difficult to bide one’s time in a Parisian bar while on vacation. I recommend you try it some time. We did such a good job of biding our time that we had to hustle to the train station (one Métro transfer and a packed, packed subway). But we arrived with plenty of time to spare (10 minutes), according to Melinda.